What an inspiring week exploring Kathmandu and visiting various eco-initiatives around the city. The image above is the view to Kathmandu valley from the Triten Norbutse monastery. One of the most inspiring visits was to Adobe and Bamboo Research Institute ABARI's upcoming Learning Center in Dhulikhel. 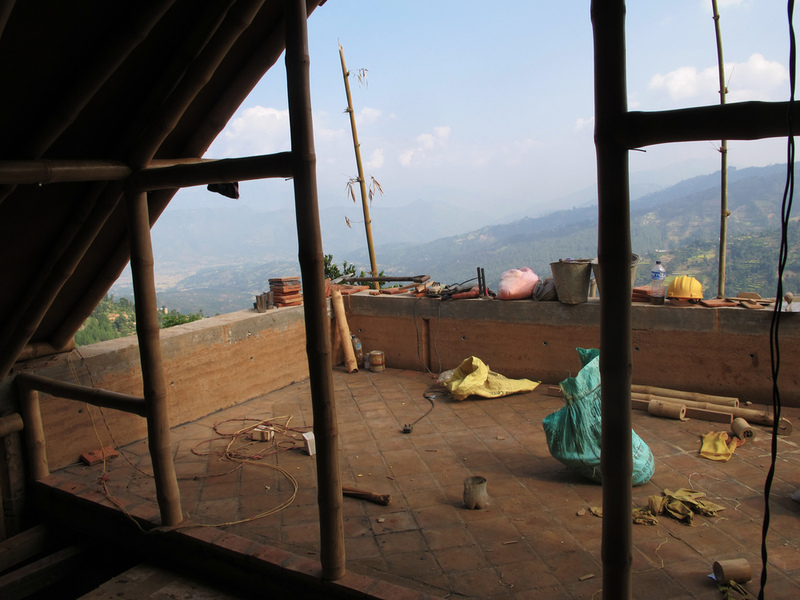 One of Abari's founders, Nripal Adhikary is leading the construction of the center surrounded by the most amazing landscapes in Dhulikhel. 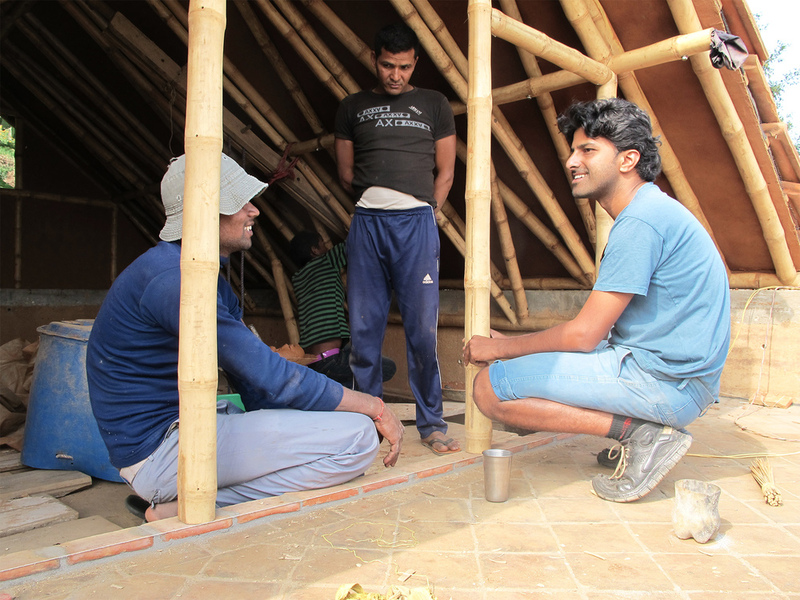 The bearing walls are made of rammed earth with concrete ring beams and the roof structure is of bamboo. 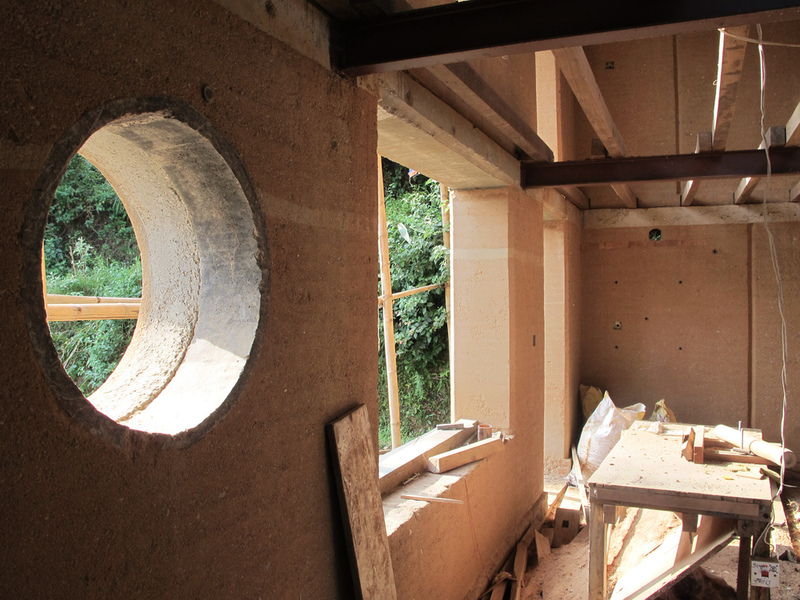 As much materials as possible, even the earth plaster, are recycled from the previous building located on the site. 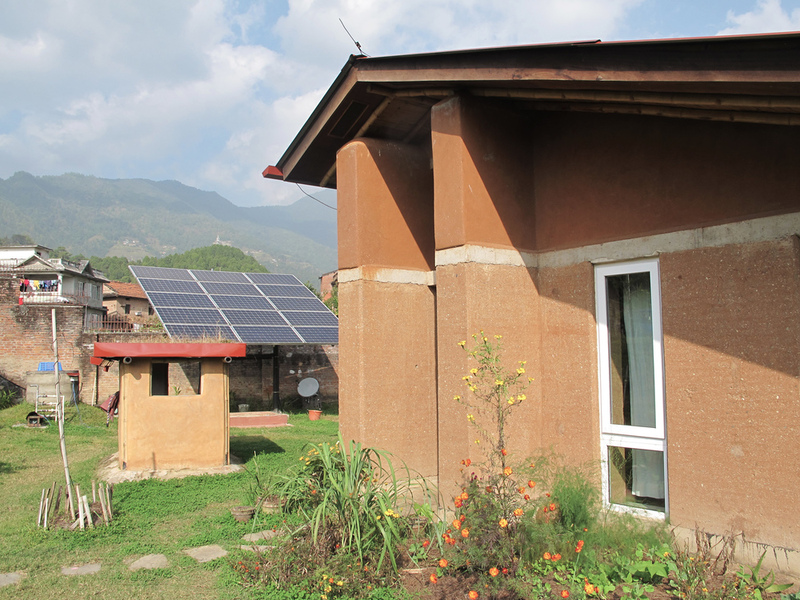 Anne Feenstra is a Dutch architect, now based in Kathmandu, who’s work with sustainable mountain architecture presents a great example of climatically and culturally sensible design in environmentally vulnerable environments. Feenstra is also one of the organisers of the Sustainable Mountain Architecture project and exhibition. 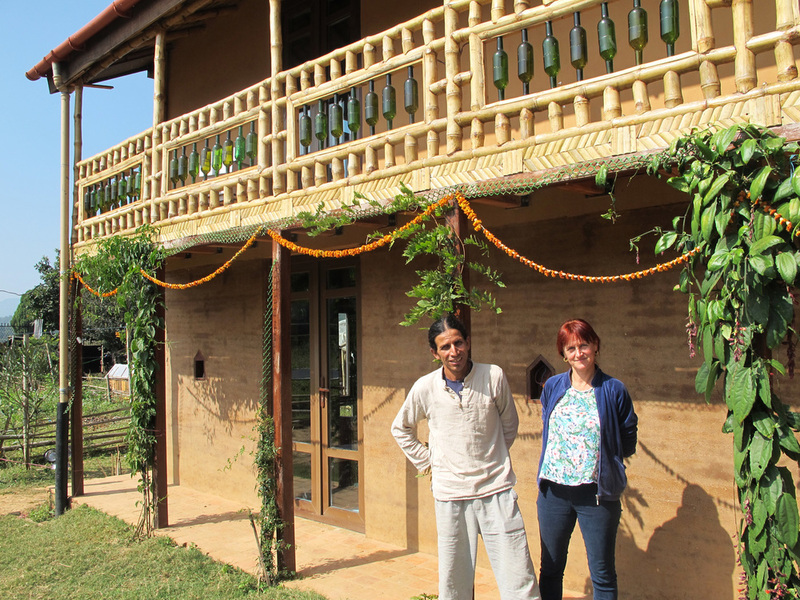 Narayan Acharya and Naomi Saville were extremely kind in taking the time to present their lovely house in Godawari, near Kathmandu. The ground floor is made of rammed earth stabilized with 5% of cement and the first floor with timber stuctures and saw dust insulation. Abari was involved in the construction of the house and architecture magazine Praxis has wrote a story of the construction. Hemendra Bohra's house in Budhanilkantha, above Kathmandu is very beautiful in it’s architecture, but also extremely inspiring with being completely "off the grid". All energy of the house comes from the solar panels and water heaters, wastewater is treated naturally and the house is warmed and cooled passively trough it’s solar-conscious design. Here's a link to an article of the house in the Praxis architecture magazine and images of the construction on Abari's website. 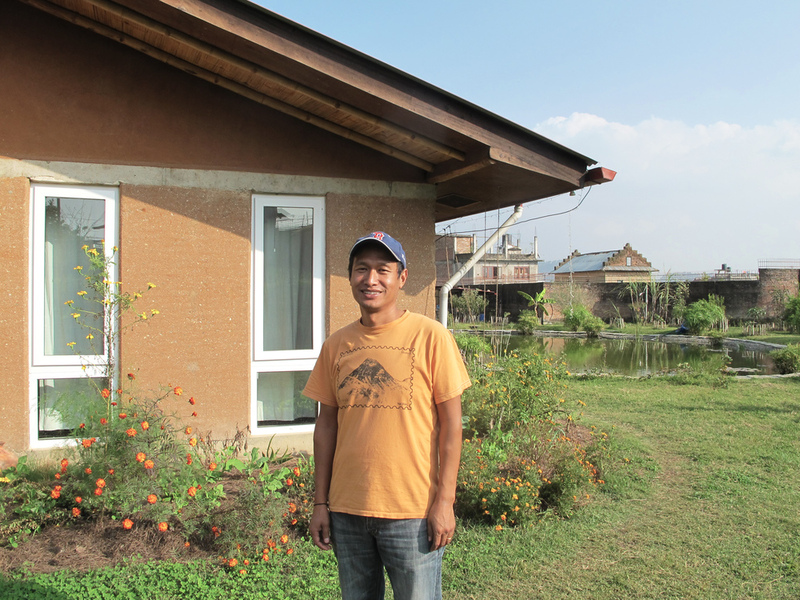 Pawan Shrestha and Ujjwol Shrestha, together with Prabita Shrestha are the founders of GREEN TREE Developers Pvt. 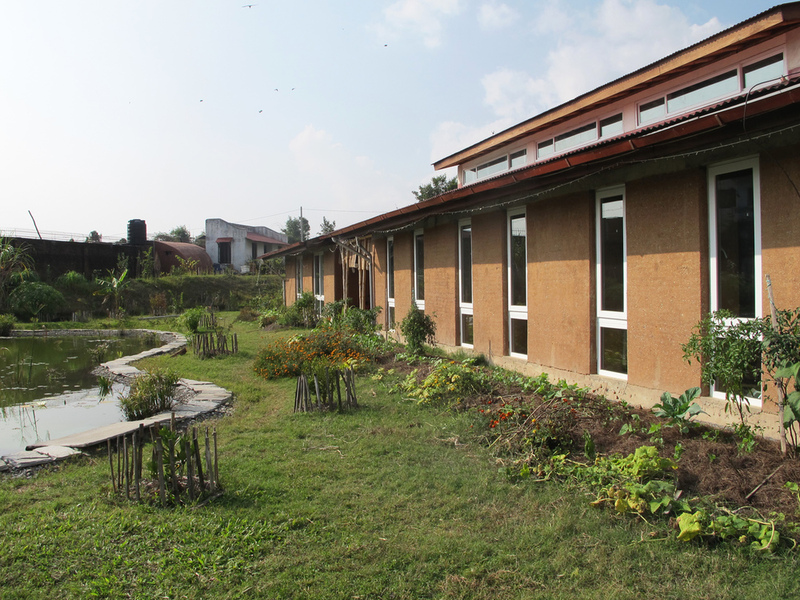 Ltd. but also the founding members of Engineers Without Borders Nepal, a member of Architecture Sans Frontières International. Green Valley getaway is a restaurant with bamboo structures situated in the far end of the Shivapuri Natural Park, up from the district of Budhanilkantha in Kathmandu. A map link to the Resort in Bing maps. Jiten Shrestha together with his company Cosy Nepal has renovated amazingly beautiful apartments to the old buldings in Patan and Kathmandu, especially respecting the beautiful craftmanship and traditions of the Newari architecture. Uday Shestra is the editor of Praxis Magazine. He is also one of the main forces behind the Blue Coffee Company, behind many of the architecture and design talks and events organized in the city. And the warmest thanks to the members of Society of Nepalese Architects SONA’s ecological committee, especially Salena Sangachhe and Sakar Shrestha for taking the time for a meeting as well as to Architecture & Developpement, Anish Joshi, Tuija Suihkonen, Jussi Kanner, Sampo Villanen, Laura Rovamaa, Niraj Pradhan and the Triten Norbutse foundation for making all these meetings possible!